US Homeland Security officials met with major US airlines and a trade group on Thursday to discuss the impact of possibly expanding a ban on large electronic gadgets on planes to flights from some European airports, three sources briefed on the meeting said. The afternoon meeting included high level executives from Delta Air Lines Inc, United Airlines Inc, American Airlines Group Inc and trade group Airlines for America, the sources said. They requested anonymity because they were not authorized to publicly discuss the confidential meeting. The airlines and group declined to comment. In March, the United States announced laptop restrictions on flights originating from 10 airports including in the United Arab Emirates, Saudi Arabia, Qatar and Turkey because of fears that a concealed bomb could be installed in electronic devices taken onto aircraft. Britain quickly followed suit with restrictions on a slightly different set of routes. 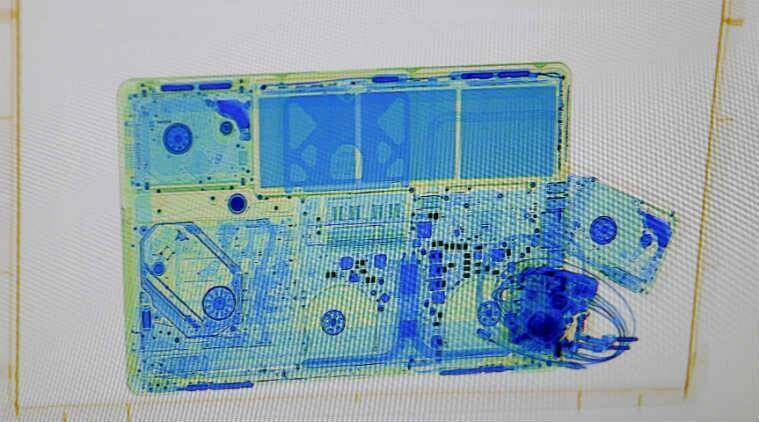 The Trump administration is likely to include some European countries in the in-cabin ban on gadgets larger than cellphones and is reviewing how to ensure lithium batteries stored in luggage do not explode in midair, Reuters reported on Wednesday. Homeland Security spokesman David Lapan declined to discuss the meeting. He said on Wednesday that no final decision had been made on expanding the restriction and there would be no announcement on Thursday. One issue that had been expected to come up at the meeting was how much advance notice airlines would get to impose additional restrictions, which some airline officials say would require hiring more staff. In 2016, 30 million people flew to the United States from Europe, according to US Transportation Department data. A broader ban would have a significant impact US and European carriers, which are concerned about the challenges of checking large numbers of devices. Some US and European airlines have been planning for a wider ban, industry officials have told Reuters. Earlier Thursday, Homeland Security Secretary John Kelly met with senators from relevant oversight committees in a secure Capitol Hill facility to deliver a classified briefing to discuss numerous security issues “including threats to aviation,” Lapan said. A congresional official said it appeared that Homeland Securitiy was likely to expand the ban soon, but did not say when or to what airports. Kelly said last month the ban was likely to expand, given the sophisticated threats in aviation and intelligence findings that would-be attackers were trying to hide explosives in electronic devices.